The reality TV star said she decided to study law because "I wanted to fight to fix" the criminal justice system, "and if I knew more, I could do more." Kim Kardashian West, who appeared on NBC's "The Apprentice" in 2010, has become a celebrity apprentice of a different kind. The "Keeping Up With the Kardashians" star told Vogue magazine for a cover story in its May issue that she decided last summer to begin a four-year apprenticeship with a law firm in San Francisco. Kardashian West, 38, who did not complete college, said she plans to take the bar exam in 2022. Four states, including California, where she lives, offer an alternative path to passing the bar known as “reading the law,” or apprenticing with a practicing lawyer or judge. 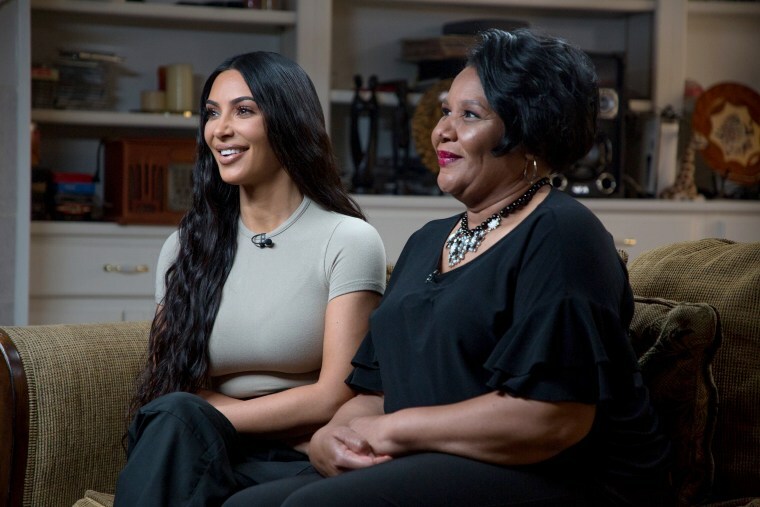 The reality TV star said she was inspired by her involvement in the case of Alice Marie Johnson, 63, a grandmother who was serving life in prison in Alabama for a nonviolent drug conviction. She learned about Johnson through social media and lobbied on her behalf in a June 2018 Oval Office meeting with President Donald Trump. Days later, Trump commuted the sentence for Johnson, who had at that point been in prison for more than two decades. Kardashian West told Vogue that she believed she could do more for criminal justice reform if she knew more. In advocating for Johnson at the White House, "I would say what I had to say, about the human side and why this is so unfair," Kardashian West said. "But I had attorneys with me who could back that up with all the facts of the case." The law runs in the family. Her late father, Robert Kardashian, was a prominent Los Angeles lawyer who was part of the legal team representing O.J. Simpson in his 1995 trial in the murders of his former wife, Nicole Brown Simpson, and her friend, Ronald Goldman. Simpson was acquitted. Since her advocacy for Johnson, Kardashian West has also aided Matthew Charles, one of the first people released from prison under a criminal justice reform law signed by Trump in December. When the recently freed Charles' lease application was rejected last month because of his prison record, Kardashian West took to Twitter. She urged landlords in Nashville, Tennessee, to give him "a second chance," saying she would pay his rent in advance for five years. Days later, Charles, 52, said he had secured housing with help from, among others, Kardashian West and her rapper husband Kanye West. "I am glad that Kim has stood with me," he said last month.